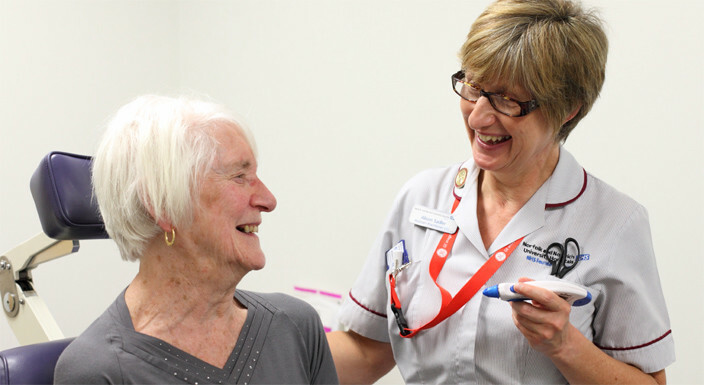 The role of Assistant Practitioner, which bridges the gap between the traditional healthcare support worker and registered nursing and other health professional roles, was first established within the Norfolk and Norwich University Hospitals NHS Foundation Trust in 2000. The Assistant Practitioner is a nationally recognised role. Currently the Trust employs Assistant Practitioners across a broad range of professions, including; Nursing, Physiotherapy, Occupational Therapy, Diagnostic Radiology including Breast Imaging and Nuclear Medicine, Therapeutic Radiotherapy, Dietetics, Cardiac and Respiratory Medicine, Laboratory Medicine and Pathology. What is an Assistant Practitioner? “An Assistant Practitioner is a worker who competently delivers health and social care to and for people. They have a required level of knowledge and skill beyond that of the traditional healthcare assistant or support worker. The Assistant Practitioner would be able to deliver elements of health and social care and undertake clinical work in domains that have previously only been within the remit of registered professionals. The Assistant Practitioner may transcend professional boundaries. They are accountable to themselves, their employers and, more importantly, the people they serve”. • Assistant Practitioner skills, knowledge and competencies are gained from a variety of professional backgrounds. • The role is designed to provide a high level of support to registered staff from a variety of professional backgrounds. • The trainee role is a two-year developmental programme leading to band 4 on completion of work based and academic requirements. Trainees attend college one day a week. Please Note: Before you can be considered for the trainee assistant practitioner (TAP) programme you must be an employee of NNUH.